This book is about how to use new algorithm models to solve complex problems. 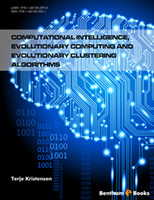 The book presents one branch of a field in computer science that we today call computational intelligence. Big Data play already a great role in society and evolutionary algorithm may be one approach to do data mining of high-dimensional data. High-dimensional data are produced in scientific laboratories all over the world and are often difficult to interpret. Clustering is one possible technique that may help us to interpret these data. Clustering is a well-known technique that is used in many areas of science. This book is about how to use such algorithms to solve clustering of huge sets of data. This subject may be introduced in the last year at the bachelor level in computer science or mathematics or at the graduate level. The intention of the book is to show how to use such computation models on classical clustering problems. Visualization is an important part of the clustering process. We therefore also want to visualize the result of the cluster analysis. The most known clustering algorithm is the K-means algorithm that is dependent on the parameter value K and the initial position of K cluster centroids. An incorrect value will result in an inaccurate clustering structure. The configuration of cluster centroids determines if the algorithm converges to a local minimum or not. These limitations may be solved by using evolutionary algorithms. Genetic algorithms and differential evolution algorithms are two paradigms in the book that are used to optimize the value of K and the initial configuration of cluster centroids. The correctness and quality of the solution are compared using both artificial and real-life data sets. Experiments have shown that the algorithms are able to classify the correct number of well-defined clusters, but fail to do so for overlapping data clusters. This is mainly because the Davies-Bouldin Index as a fitness measure has certain kind of limitations. The experiments carried out in the book also show that both Genetic and Differential evolution algorithms provide suboptimal positions of initial configuration of cluster centroids, reflected in higher values of the Davies-Bouldin Index. I will thank Bergen University College for making it possible to write this book. I also thank Bentham Science Publishers for all help and specifically Manager for Publications, Salma Safaraz, for all the support during the publishing process. At last I will thank my prior master student Eirik Steine Frivåg who has contributed a lot in this book. The author confirms that there is no conflict of interest to declare for this publication. Terje Kristersen's book seems to serve a good role in studying and analyzing high dimensional data using computational intelligence. The author has both teaching as well as industrial experience and hence, myself having around 20 years teaching in a similar domain, I agree that there is a need of such a book. Generally, books found on the subject are comprehensive and a lack of topics like clustering is found as one of the only issues in these books. Having book primarily focusing on clustering related work really puts a value to it. The first three chapters provide a general introduction and background for clustering and introduction to different evolutionary algorithms. Chapter 3 discusses components of evolutionary algorithms. However, Simple example(s) could have been included to explain the various components to the new reader. The middle portion of the book (Chapters 4, 5 and 6) provides analysis and evaluation skills. Chapter 4 is very strong and details system specification that invites the reader to pay attention to concepts like functional and non functional requirements enabling new designers / engineers to clear planning work. Chapter 5 on design and mplementation includes details of implementation like Netbeans and JavaFX while chapter 6 on data and visualization expands users focus and provide useful tips. The chapter on user Interface is interesting in in the way it explains how to to create interaction between a user and the system. The chapter titled "A Case Study" is one of the strongest parts of the book and provides a comparison of different algorithms on various data sets for given benchmarking criterion. The only concern I could find with the book is that, being on very specific topics and targeting only a limited segment of people, it could have incorporated basic programs with small implemented results to encourage new readers to start working in the domain. Computational intelligence, Evolutionary Computing and Evolutionary Clustering Algorithms should be on the reference list of every practicing engineer working in a similar domain.